When: Last Friday of every month, 6:30-10:30 p.m. 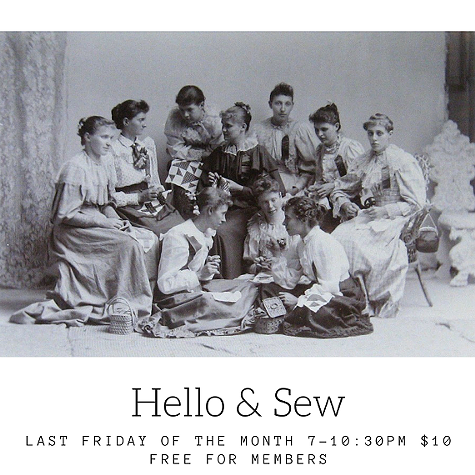 Hang out and sew. Sewing machines and tools will be available on a first come, first served basis.